Exactly 4 years ago I was making a big change in my life by moving from Brazil to Switzerland – with my traveling dog, Enzzo – to begin my Master degree in International Relations. I know that I don’t often mention the part of my life which I lived in Geneva here on the blog, but for the first time I am opening my heart about the most challenging year of my life to you. I know that hate is not a beautiful word, in fact I consider it very strong, but in this case, I just couldn’t use the words love or didn’t like. The year I spent in Geneva was definitely not the easiest one in my life, but I am the kind of person who likes to see the positive side of everything. And the positive side of living in Geneva was definitely how much I grew up and evolved as a person. I just can’t hide the ugly truth any longer, so before you think that I am crazy or judge me for the title I chose for this post, take into consideration that I was a Master student in Geneva, which means I did not have any job that paid for my costs. I also did not know any Swiss people before moving there and it was my first time living alone, which only made things harder. All I mean is, experiences differ from one person to the other, and this was mine. Before moving to Switzerland, my University kind of helped me with the Visa process part, which I got in Brazil at the Swiss Embassy. I was told that once I arrived in Geneva, I had to apply for a resident permit. Well, it all sounded simple to me, though I was about to learn that nothing is really simple in Chocolateland. After taking days to figure out which type of Visa I should apply for, I went to the Immigration Office, waited hours to make a question, and waited some more to go to the right place. People there were not helpful at all to me and everything took ages. After requesting my permit, they told me I would receive it per mail in 3 months. What?! Are you kidding? No, they were not kidding! The worst part is that this document is important for everything you want to do in the country. This is a serious well-known problem in Geneva, I heard people mention that the Real Estate Market there is a Mafia. It is freaking hard to find a place to live if you don’t want to spend a fortune, if you don’t have any recommendation – University does not count – if you are a foreigner and if you have a pet. Guess what? This was exactly my case. Before finding a place to live, which only happened once I was already there – I had to stay one week at a hotel – I fell into one of the Real Estate scams. Yup! I paid for an apartment that did not exist, how dumb am I right? Well, how would I guess that things like that happen in Switzerland? Yes it does dear readers, and more often than we can imagine. 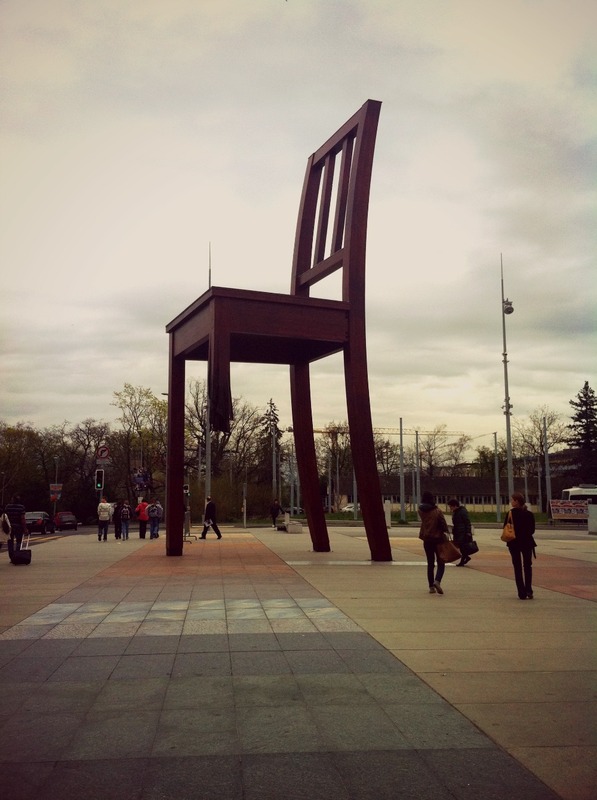 The truth is, Geneva is a small and very international city, the square meter costs a fortune and there are not many options. That being said, finding an apartment to live there is a nightmare no one in the world wants to have. Oh, so you thought that only housing is expensive? Sorry, but I often say that EVERYTHING in Switzerland is expensive, except for chocolate and cheese. If you are lucky to have a job in Switzerland, you most probably earn the equivalent money to its living costs, so it is most probably fine for you. However, when you are a student as I was and many other people I knew were, you should be prepared to pay CHF 30 for a simple pizza around the corner (in case you are wondering, the equivalent to €28 or £20… for a PIZZA). Ohhh it hurt so bad to go out, to go to the supermarket, to buy clothes! Especially when I knew that just across the border, in France, you could find normal prices for the same things! I have never lived or been to a country as expensive as Switzerland, and I certainly will be skeptical if you tell me about a worse one. I know, you will probably say that New York, Tokyo, Paris or London are worse than any city in Switzerland, but even in these cities it is possible to buy a coffee for a normal price, you just need to look for it, in Geneva, forget it! When I say EVERYTHING is expensive apart from chocolate and cheese… it really is. 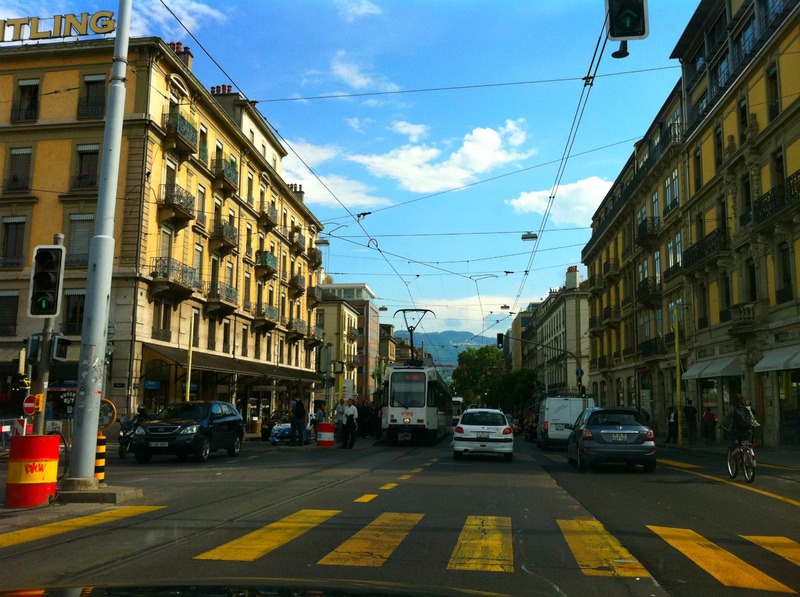 When I decided to get a car in Geneva, I had no idea how much stress I was bringing into my life. Ok, I had a clue, but I would never guess it would be so bad. First, finding a parking spot in Geneva is almost impossible, unless you find one of the private parking, which of course, you have to pay a fortune to park your car there. Second, if you park on the street make sure you pay for it on the machines, which normally only allows you to stay up to 90 min parked. Don’t even think of being late, not even for 5 minutes, or you will get a CHF 40 fine. Well, parking around my block was impossible; I had nerves breakdowns a few times, trying to find a parking spot. What did I do? I decided to pay for a private parking near my house… sounds cool huh? Only I paid around CHF 200 per month to park my car there. In any case, better than leaving my car in the middle of the street and getting a fine everyday. You remember that I just mentioned above that it took me 3 months to receive my resident permit? So, what if I tell you that you can only open an account at a Swiss bank if you either have this permit or around CHF 40,000 in your pocket? I KID YOU NOT. So without any other choice, I had to wait 3 months to receive my precious permit so that I could finally have a simple bank account! 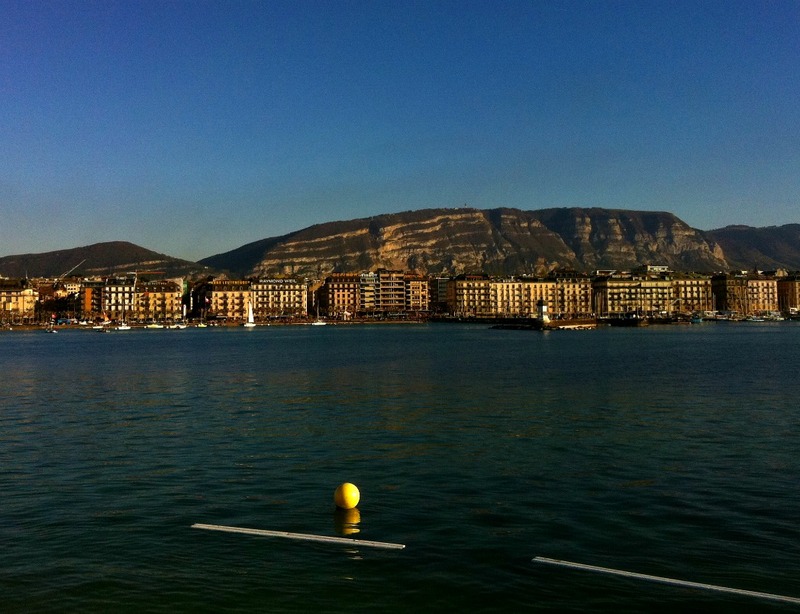 I never hated Sundays, but Geneva’s Sundays made me miss Mondays! It is normal a few things to close on Sundays in every city in the world, but in Geneva, it can be hard to find an open restaurant this day of the week, unless it’s a fast food one. Totally depressing. On the contrary to what most people think, Geneva is not a safe city! I know people who got their bags stolen, and even people who got beat up or harassed on the streets. Pretty sad, I know, but true. I know that Europe seems to always be under construction and restoration. The problem is, in Geneva this is something really disturbing and it takes forever until they finish redoing a street. When I arrived there in March 2011 they were rebuilding a street close to my house, when I left one year later, they were still trying to finish it! The interesting thing is that as soon as they finish one construction, they start another one right away. The Swiss have the fame of being slow, and people like to joke about that. Well, THEY ARE! And I hate waiting, I am not a patient person, and living in Switzerland I had to create some so I wouldn’t go nuts! 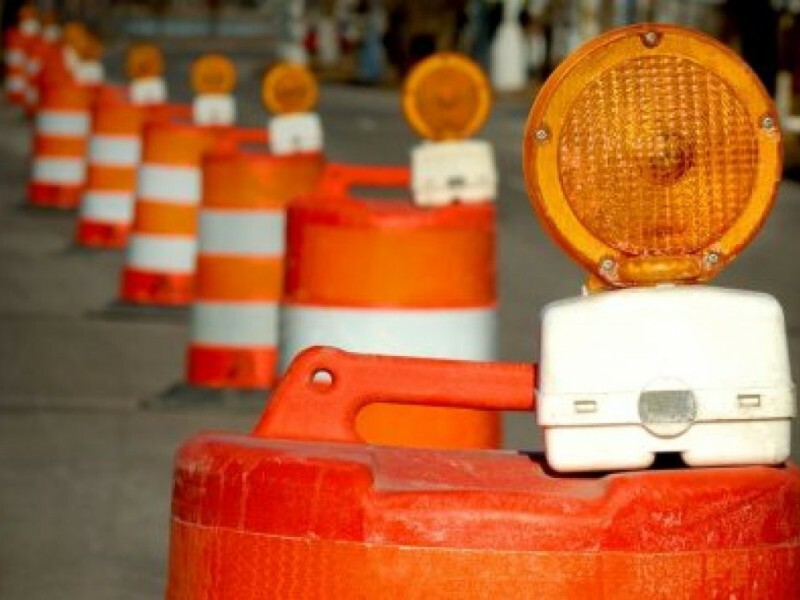 You have to wait a lot for your permit, in line, at the airport, to get your drivers’ license, at the vet, in traffic, and the constructions never end. Anyways, I know that there are places worse than Geneva in this case; in my country things are slower. The difference is, Geneva doesn’t even have 200,000 inhabitants. This slowness reflects on their efficiency. I know, the Swiss are famous for being efficient, only, I don’t agree with it. I have never had an efficient experience in Geneva, I only learned what efficiency is when I moved to Germany. Dear Swiss people, do not be mad at me. I always found you very nice, probably the most polite and nicest people I came across in my life, but my experience in your country was not the best I ever had. I still like visiting though, your country is truly beautiful! Keep in mind: this was my personal experience. I know people who think different than me, others that agree. Some love Geneva, others hate it. In any case, this is my opinion. Thank you for sharing your experiences so honestly. I know from (my personal, but limited) experience, it’s not easy to settle into a completely new environment, and the stress becomes worse when we have ‘foreigner status.’ But as you say, such experiences help us to evolves as people, and I can also understand what it’s like to be out of my comfort zone. Thank you for your comment Takami. You are right, being a foreigner is already a challenge by itself, that is why getting integrated really demands a lot of effort from us…we really do have to step out of our comfort zone. Oh dear, I’m so sorry you felt that way, it must have been a very hard time. I think you had to face a lot in a limited amount of time, it didn’t help you enjoying the city. I’ve heard many times what you said about the city, the problem that everything is expensive. Would you consider to go back at one point of your life to visit it with another state of mind or you would prefer to forget about it ? It wasn’t easy… I was 24h a day out of my comfort zone. But I really did grow up a lot, and got to know myself better too. It wasnt the best time of my life, but certainly was one of the most important ones. This sounds horrible. So glad you shared it, even though it wasn’t something you really wanted to talk about. 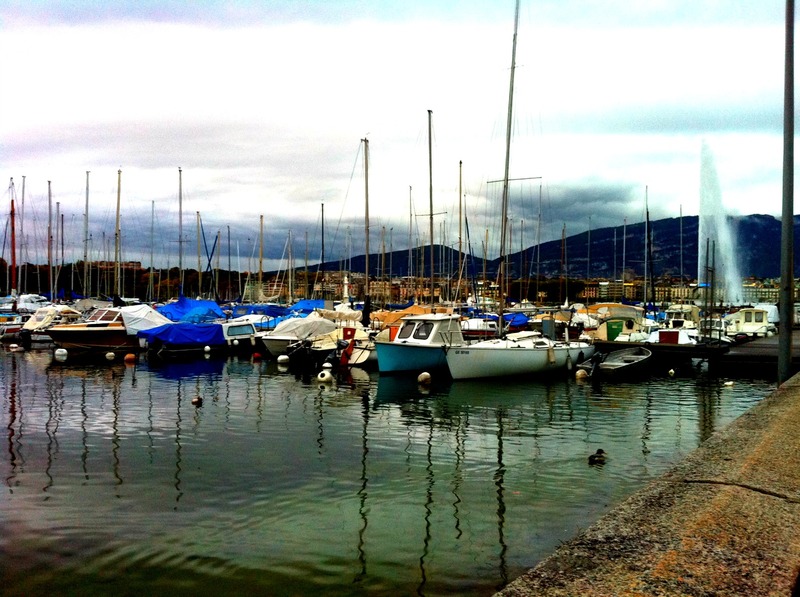 But it is an eye opener for people who may be considering moving to Geneva. Thank you. But I’m glad you found it useful. It is indeed an eye opener, people expect something very different before moving there, and they often get surprises, like I did! I have always believed the swiss to be really efficient. So your comment on them being slow and an unsafe place, really was a shocker. Good to know the truth though. I used to think like you too… and was very disappointed to learn the contrary 🙁 the funny thing is that in some countries in Europe, like Germany, people joke a lot about they being slow… the first time I heard about it I felt stupid for not knowing this before… but I could never guess! I have heard quite a few negative things about Geneva. First of all, New Yorkers consider it exorbitantly expensive. And it is still much pricier than London, Paris or Moscow, without down-market alternatives. And yes, it’s totally dead in the evenings and on weekends – not like anyone could actually afford to go to a bar anyway. Oh really? I didnt know New Yorkers found it pricey too… so my theory is probably right hahaha. Anyways, you are right… the nights are very dead, everything closes early… and like you said (hahahaha) it is not like we can afford to go to a bar anyways. Once I paid CHF 20 for a cocktail… I almost cried! Yes it’s definitely not easy to move to another country and adapt to a new environment. Munich must be heaven compared to this! Re: resident permit and bank account, I had the same problem here in Turkey. They do seem to take bureaucracy on yet another level. Also I was under the impression that the Swiss were efficient not. I guess the Germans would forever hold that title alone. Do not seems like a very great experience at all! But like you say there is always something positive that come out of it all! I can really related to this visa issue, do to my husband. That it is so expensive I can understand as well! Seems like so many problems! But this made you a stronger person! Oh yes, the visa issue… there are many countries with this problem 🙁 I hope all works out for your husband visa! My friend lived in Switzerland and hated it as well so you’re definitely not alone in this one! What an eye-opener! I’m glad you can be positive and feel that you learned from the experience. I hope you like chocolate and cheese! I’ve always thought Switzerland would be a great place to visit, but it seems like it would be quite difficult to live there, though maybe places other than Geneva are better. At least you’re able to look at the positive side! I totally understand about getting scammed. When I stepped off the plane in Chile for a semester abroad in college, I spent the first several hours in the country getting scammed by one person after another. It happens, but at least you know these things exist now and can avoid them in the future! Switzerland is veeeery beautiful and I like to visit it sometimes, though if I had to live there again, I wouldn’t pick Geneva I guess. I find other cities there different. Oh yes I hate scams! It is so bad when you have no idea they exist and you are a victim…the locals find it stupid when you fall for them, but that’s because they already know about them, as for us first timers, we don’t. That’s why it is so important to share these things with other travellers. I am so sorry about the scams in Chile 🙁 must have been awful! It wasn’t so bad – at least none of them were dangerous! Great post! I have to admit, I wasn’t really taken by Geneva either… I agree, it’s sooooo EXPENSIVE! My husband was pretty much living on tinned soup when he lived there.haha… – I shouldn’t laugh really – The poor guy! When I went to visit, we pretty much came back BANKRUPT! Also, there was very little to do… but perhaps I visited at the wrong time of year? This being said, it’s a stunning place – scenic and clean 🙂 …So, not all bad. Oh my, poor guy!!! It is so expensive 🙁 the interesting thing is that I know many people who live there that they are so used to this that they don’t notice it anymore! Yes, I went in November last year. (It was around my birthday time) and it was freeeeeezing cold and very, very misty! The Alps were beautiful though – from what I could see through the thick mist! Haha. Oh well, it might be that if you ever live in Switzerland your experience will be different than mine. But I also didnt expect it to be like this 🙁 and I also believe that it differs a bit one region from the other. Yes, at least I had Enzzo with me <3 😀 thank you for your comment! I guess this is the 1st time, the very 1st time i have heard somebody write something so honest about Switzerland! That place was like a dream location for me! Ohh that is so nice to know!!! I am glad it was amazing for you!! I wish it was the same for me 🙁 maybe I am the one to blame, but that’s how it was… I find it important to be honest about this, as important as writing about the positive things. Where did you live in Switzerland? You did a nice job of telling your story without disparaging the whole country outside of your own experience. 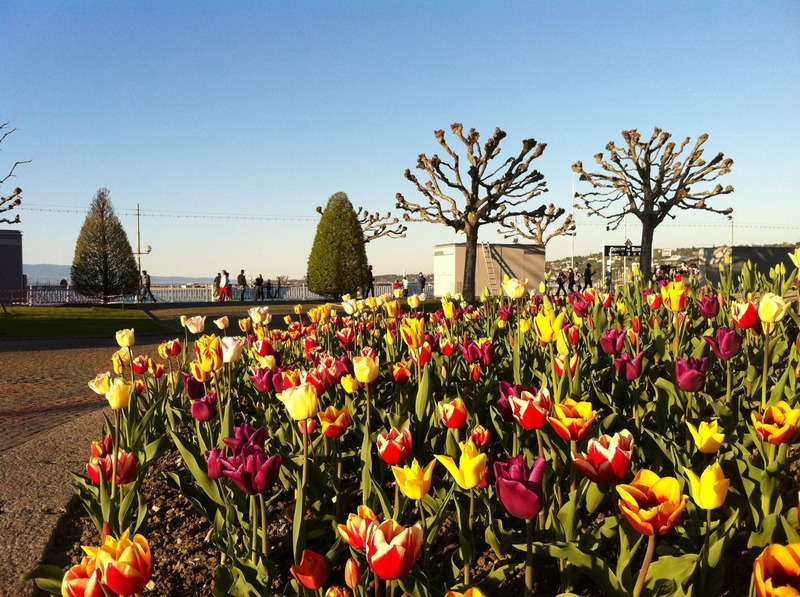 I have never lived in Geneva, only visited, but even though I found most of Switzerland really gorgeous and wonderful, I thought Geneva was mostly just … boring! This sounds exactly like France ( except France is not nearly as expensive). I get your housing struggle though, it took me three weeks to find an apartment in Paris and almost fell for a scam as well! I think it’s great that you are so open and honest about your experience in Geneva. And no one can be offended, as you are talking about your own personal thoughts. The expense is just phenomenal. I can’t believe that it costs around £20 for a pizza. I’ve never been to Switzerland, and for once, I have to admit, it’s not high on my priorities of places to visit. Even more so now! Thank you Ting! It was not easy to write this post I must say… I had to be careful with my words, as I didnt want to generalize things. Finding a place to live in Basel was INSANE! We had to keep putting our price limit up and up and up. We finally have somewhere though. I can’t believe you paid so much for parking!! A resident’s parking permit (for the blue spaces) in Basel is CHF 140 for the entire YEAR! Ohh really?? I didn’t that also in Basel was that hard to find a place 🙁 probably this is a problem in the whole country. Ohh my CHF 140 for the whole year? That is awesome!! I wish I had found something like this in Geneva 🙁 I would have saved so much money! Really interesting post. I think you always learn a lot more about a country when you live in it. Often the things that annoy you are things that a visitor would never have to worry about. I agree with you! You often hear how a certain place is like, but once you move there, depending on your experience, things might different, positively or negatively. Again you are right, there are many things that you dont see when you are a tourist. Great observations 😀 thank you! hahahaha thank you!! Yes, I find it important to share some negative things too, not all is perfect and beautiful 😀 glad you liked the post! Oh my… the real estate mafia sounds HORRIBLE! I wish your university had provided you better guidance on that. Living alone, abroad for the first time is always tough. Sorry to hear you had such a bad experience. I also wish my University had helped me more in this matter, I guess what it’s obvious to them isn’t for us! I lived abroad before, but it was the first time I actually lived alone in the house… before I always shared it with someone, or lived with a homestay family. Living alone is not my thing 😀 I need to have someone to talk to! It’s sometimes good to share the negatives even if it’s only from your own perspective. I can see that you were pretty frustrated about it but I imagine I would be too especially since you can seeing it from a foreigner perspective. At least, you are able to make something out of the experience now, so thanks for sharing with us! Thank you Sha! I am glad you liked to read about my experience. I also find it important to share the negative aspects too… I don’t often do that here, but I thought it would be important to share this. Sounds really bad. I love Switzerland (though my purse cries everytime I enter Swiss soil). I wouldn’t want to live there despite the beaitufl mountains! These days I try to stay on either the German or Austrian side of the border and only enter Switzerland for daytrips. Thanks for sharing your adventure!! Hi Suze!! Thank you for sharing your experience!! Yes, I hear Norway is veeery expensive! I have been to Sweden twice before and didnt find bad as Switzerland… it is still expensive, but not as bad because you can still find affordable things. Like your purse, mine cries too when I am in Swiss soil hahaha. Better if we stay on the safe side of the border, Germany and Austria 😀 hahaha. What a lousy living experience, Allane. So sorry to hear that! To let you know, I have a friend who studied in Italy, she had to wait for a year to get her residence permit. Practically she was unable to travel around Europe because of that!! I have visited Geneva twice – for work and study visit. I remember with my university mates, we stayed in the neighborhood of French border because the hotels in Geneva itself were crazy expensive. I also remember a colleague took me to a Chinese restaurant and it was super expensive but tasteless 😀 That’s my impression of Geneva: a super expensive city! Yes it was 🙁 I am glad I can laugh about it now. Sorry about your experience too. wow. if Geneva is ever mysteriously destroyed somehow, this post may be used as evidence against you! Thank you once again… and welcome to my blog! Yes, living in Switzerland is different than visiting… the latter is much better, because the country is stunning. I still like to visit it, though I don’t think I would live there again. Hi Zoé!! Thank you so much for your comment and for sharing your side of the story.. As you said, it’s sad that this is all true 🙁 I wish had lived in other Swiss cities to be able to make a comparison, by I heard that other cities are better. For personal reasons I needed a car, that’s why. I was always in between Munich and Geneva. There are of course high salaries in Geneva, and the mountains are amazing. People in Geneva love to ski on the weekends. But life can be difficult for many people there. I know people who love it, and others who hated it. I like to visit, but not to live. I understand you about having a difficult time in London. Even visiting it can be a bit stressful (I just came back from there). Thank you for sharing you story with me. I’m sorry to know that! Good luck to you and happy 2016! Thank you so much for sharing your experience, it certainly means a lot to many people stopping by and reading this post. It’s true about the healthcare, I remember that too, but thank God in 1 year living in the city I didn’t need to go to a hospital. I never had a problem in terms of language, but that’s because I know French, it could probably have been different for me if I didn’t. I know exactly what you mean. Their bureaucracy most of the time doesn’t even make sense. And no, you’re not late for the discussion, people keep coming to this post to share their experience and I really appreciate it! I hope all goes well in your career!! Hey John! About Geneva, the weather is basically the same as normally around Europe, though it rains a lot to be honest. If you’re not used to, know that it can also be very cold too. And wow, the Maldives is amazing… I’ve been there 2 times and wish I can go back someday again!